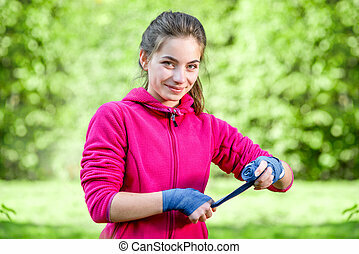 Young sports woman in the park. 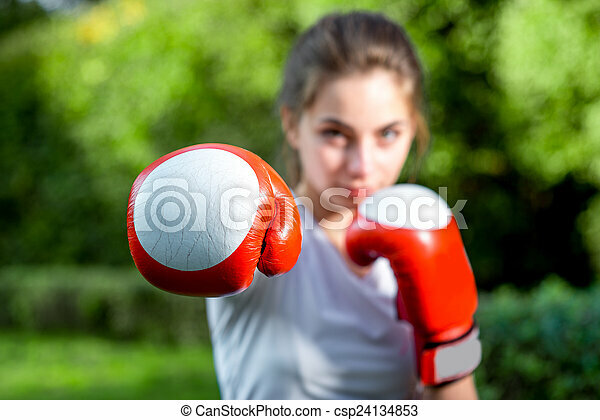 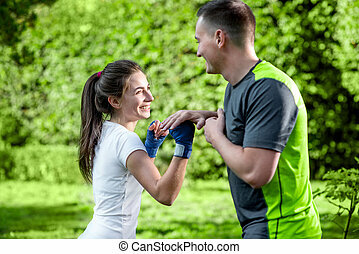 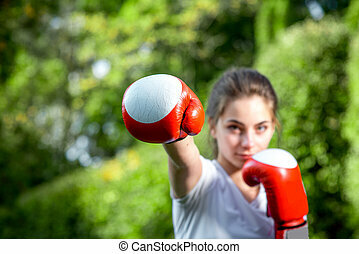 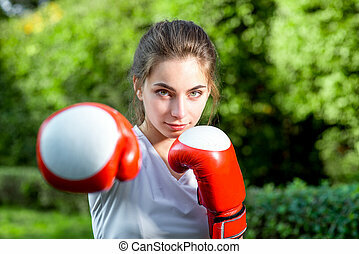 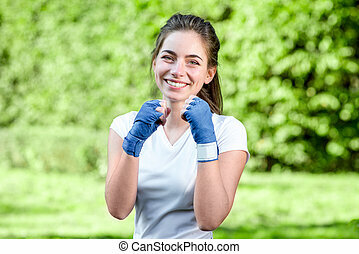 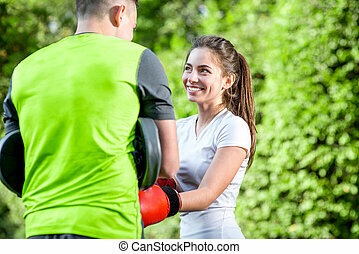 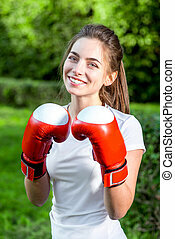 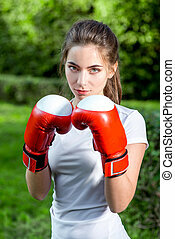 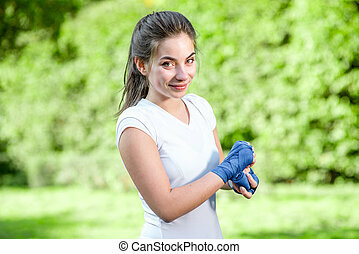 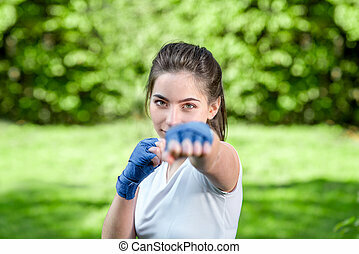 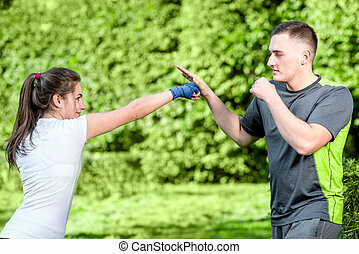 Young sports woman boxing with gloves to the camera in the park. 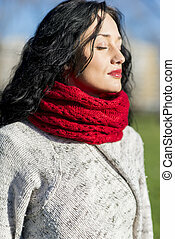 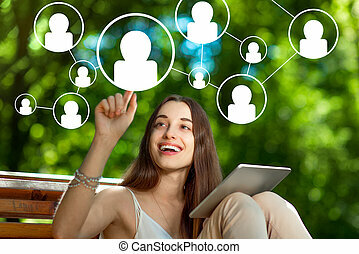 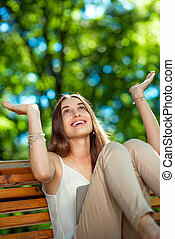 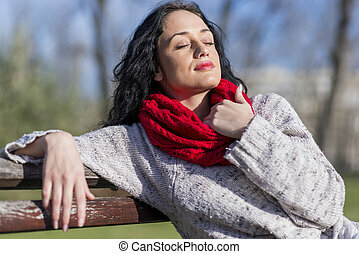 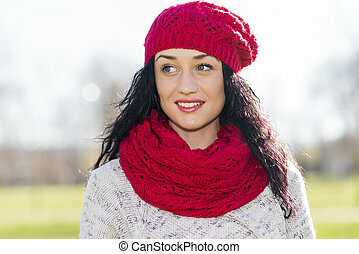 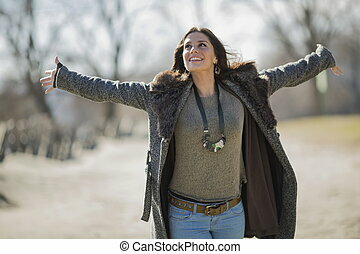 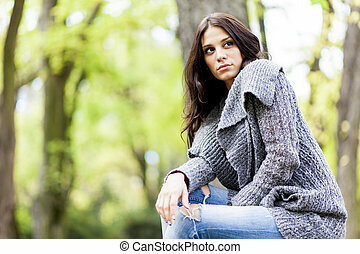 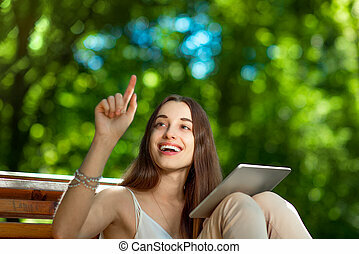 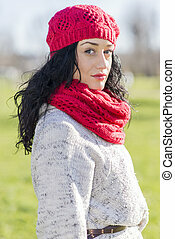 young woman in the park.